John Waire is no stranger to Points North. We’ve been working together for years. He’s been our choice photographer for various projects, including the first ever Baltimore Design Conference that we ran in 2010 and 2011. He has also worked with some of our clients for head shots and lifestyle photography. We sat down with John in February and started talking tossing around ideas of doing a fringe event for Light City Festival this year. Fringe events take place in neighborhoods around Baltimore city during the week of Light City, and they usually have a focus around art, community and light. John always signs his emails with shine your light. We thought this was the perfect statement that people could really rally behind and take ownership of. Featured: Shalita O’Neale from Fostering Change Network Foundation, and Ian Sanders from The Ian Sanders Company. 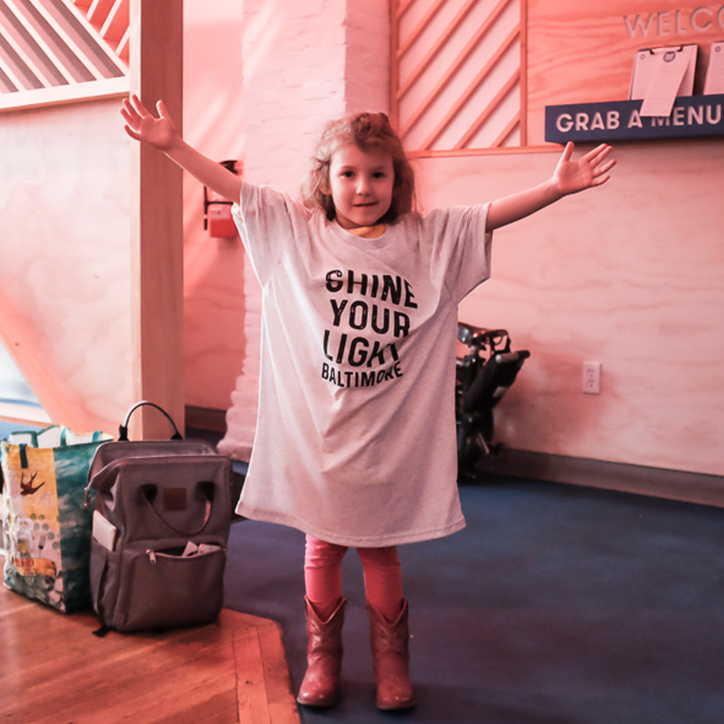 We reached out to Connie Weller with Kindness Tree Movement (a local apparel company bringing more kindness to the world), to help with getting a short run of shirts printed for our Light City fringe event. She came on board ready to get things done, and took video of the production of the very first shirt. 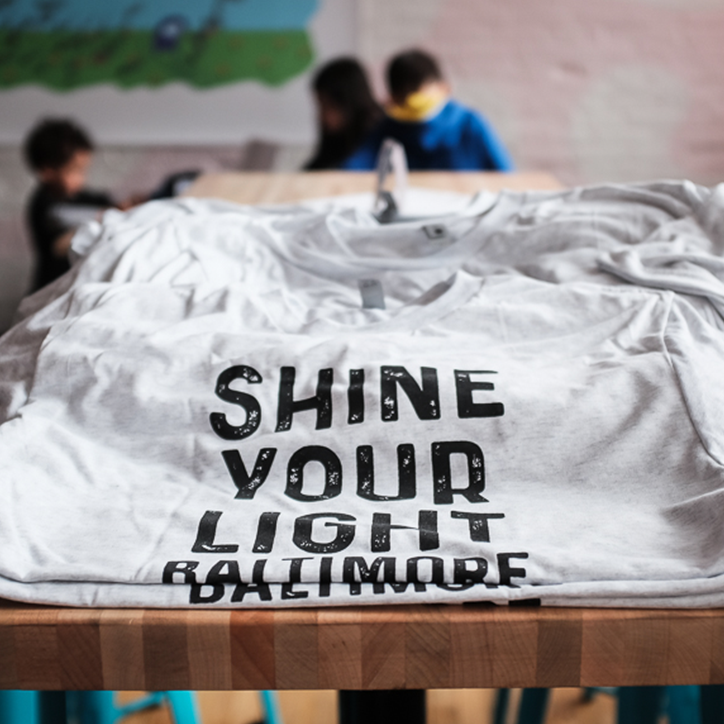 And that’s how the Shine Your Light Baltimore t-shirt made it’s debut at our April Have A Nice Day Project event at Wet City. Since we put that shirt out there, we’ve been getting inquiries everywhere about how to buy more. We heard you, and we’ve made it happen. This is about more than a t-shirt. This is a movement. You can purchase your shirt here for $25. 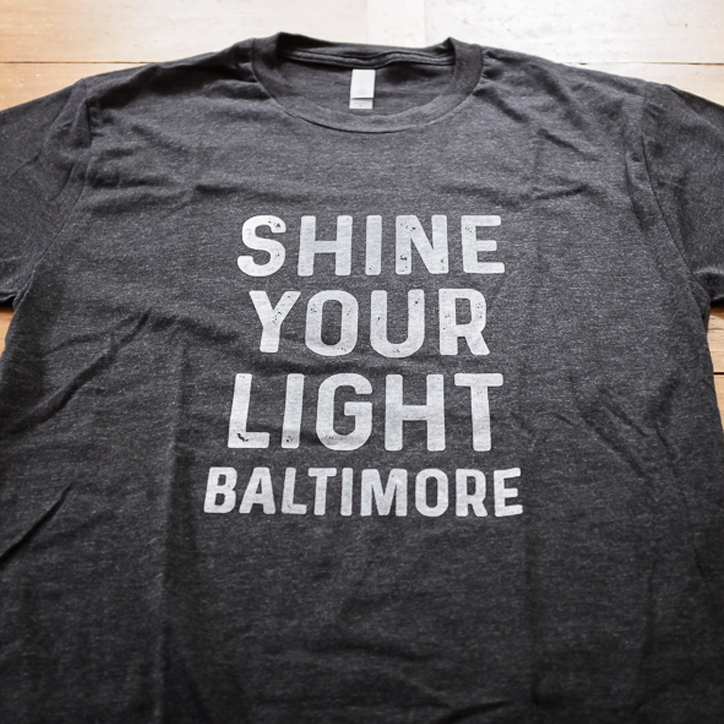 These shirts are made to order, each with some of the same magic that brings this city together. $5 from the sale of this t-shirt will be donated to Community Law in Action (CLIA). CLIA develops young people to be leaders by connecting them to opportunities to amplify their voices, cultivate their skills, and actively participate in the process of positive community change.